PARADIGM SHIFT | Does My Baby Have Allergies Already? Osterman, Michelle J.K. M.H.S. and Joyce A. Martin, M.P.H. “Epidural and Spinal Anesthesia Use During Labor: 27-state Reporting Area.” Volume 59, Number 5, 2008. Cheung, Wing, MN, BN, RN, RM, Wan-YimIp, PhD, MPhil., BN, RN, RM, and Dominic Chan, PhD, FRCNA, RN, RPN. “Maternal anxiety and feelings of control during labour: a study of Chinese first-time pregnant women.” Midwifery. Volume 23, Issue 2, 2007, pp. 123-130. Stark, Mary Ann, RNC, PhD. “Exploring Women’s Preferences for Labor Epidural Analgesia.” The Journal of Perinatal Education. Spring; 12(2), 2003, pp. 16-21. 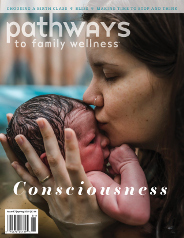 Gentle Birth, Gentle Mothering: A Doctor’s Guide to Natural Childbirth and Betle Early Parenting Choices by Sarah Buckley.